It’s A Bird, It’s A Plane…It’s A Bird In The Plane!? Crazed, killer birds attacked a US Airways flight en route from New York to Charlotte on Thursday, clogging the engine and causing the plane to plunge into the icy Hudson river. 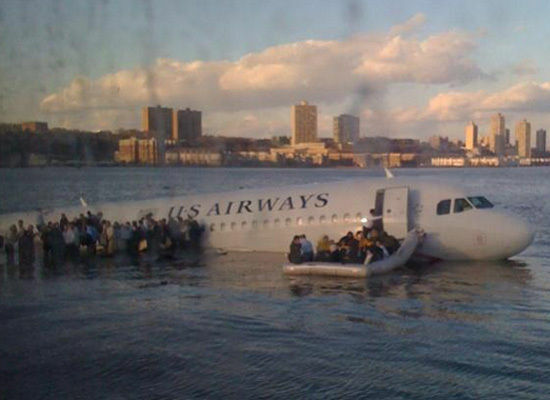 But, luckily for all 150 passengers and 5 crew members aboard, the terrorist birds were no match for the “masterful” skills of Chesley “Sully” Sullenberger, a former Air Force fighter pilot, who heroically guided the plane safely into the water, sparing the lives of everyone aboard. 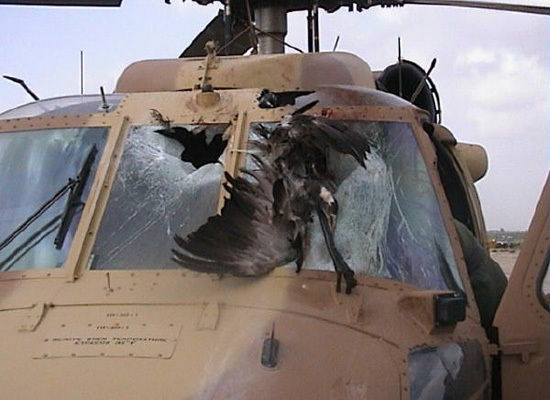 Unfortunately, the flock of geese didn’t make it. Our deepest condolences to PETA for the loss.